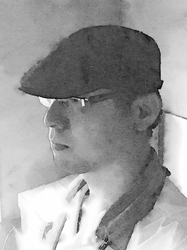 Kazuki Higashiji has created many worlds as an art director for projects with P.A.WORKS and others. Higashiji, together with the other creative members of P.A.WORKS, has created series such as Charlotte, Nagi-Asu: A Lull in the Sea, Hanasaku Iroha: Blossoms of Tomorrow, Tari Tari, and Angel Beats!. The worlds that Higashiji illustrates are not just realistic but full of emotions, likable characters and stories. His artwork is the pillar that structures the fascinating worlds in many P.A.WORKS animation series. There will be a section dedicated to Higashiji's art at P.A.WORKS 15th Anniversary Exhibit at Otakon 2016. Higashiji will be performing live drawings and panels as well.